Why choose an International Mountain Leader as your guide? 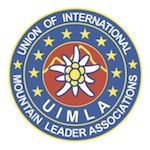 Sierra Nevada Guides are qualified British International Mountain Leaders (UIMLA) living and working in Spain’s Sierra Nevada and Alpujarra. Our aim is to provide you with quality information about the Sierra Nevada mountains including Mulhacén and Alpujarra, that will enable you to plan your mountaineering, trekking or walking trip, and make the most of your holiday. We are always happy to answer your questions, advise on routes and conditions, and of course provide you with a qualified guide! Find out more about the benefits of choosing to walk with an International Mountain Leader. A qualified International Mountain Leader and British rock-climbing instructor. Michael has been climbing and mountaineering since the 1970’s and has established over 30 “new routes” in the mountains of Britain and Europe. Michael has been Vice President of The British Mountaineering Council and a Director of Mountain Training (the body that oversees the mountaineering qualifications). Michael is a member of The British Association of International Mountain Leaders and The Mountain Training Association. A qualified International Mountain Leader and Gold DofE Award Assessor. Jane has been walking and climbing since the 1970’s in Europe and further afield; she particularly enjoys researching new destinations and in recent years has visited a number of countries in southern Africa. Jane is a member of The British Association of International Mountain Leaders and The Mountain Training Association. Michael and Jane have have been exploring the Sierra Nevada and Alpujarra from their mountain cortijo since 2002. Steve is highly experienced, enthusiastic and passionate about mountaineering. Steve is an International Mountain Leader, Winter Mountain Leader and he also holds the Mountain Instructors Award (MIA). Steve is a full member of the Association Mountain Instructors (AMI) and British Association International Mountain Leaders (BAIML). Steve has a village apartment near the Sierra Nevada, where he plans to spent an increasing amount of his time. Day walks, short breaks and full weeks, the choice is yours, we include some sample itineraries on the website, which are just some of the possible walks and scrambles to give you some ideas. Prices start at €40 per person per day, depending on the walk you wish to do and the number of people involved. Contact us to discuss your needs.